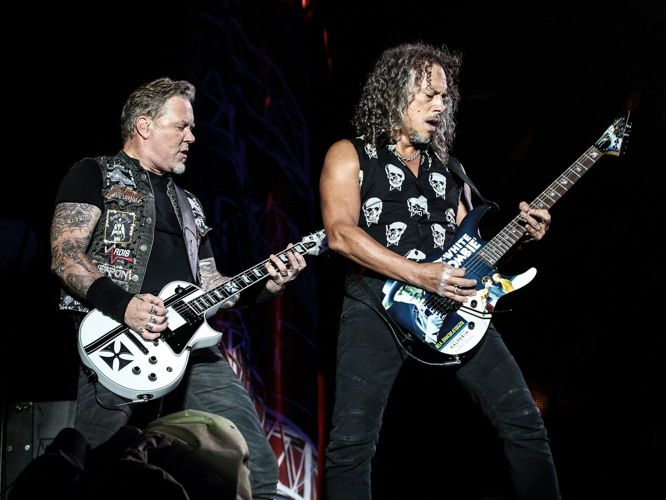 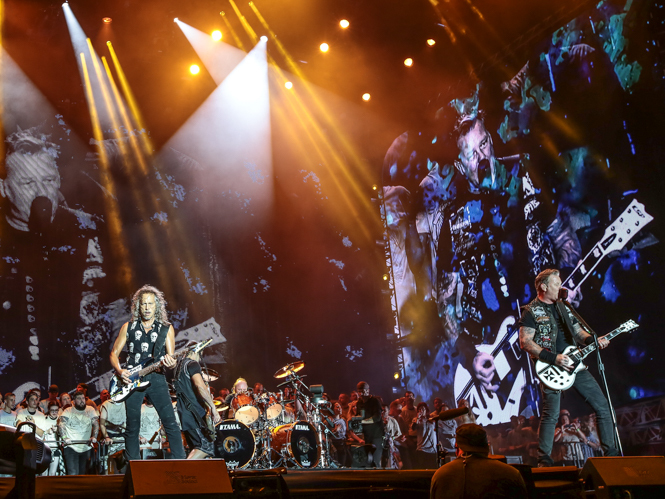 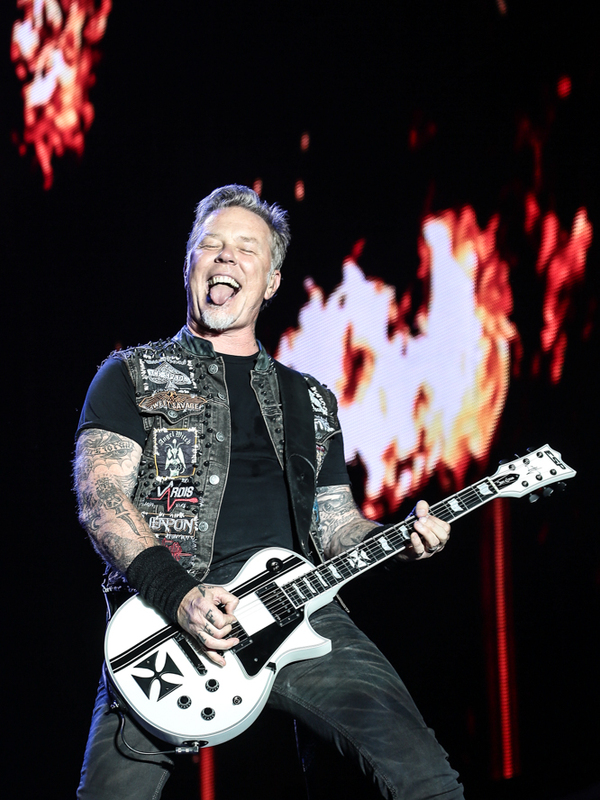 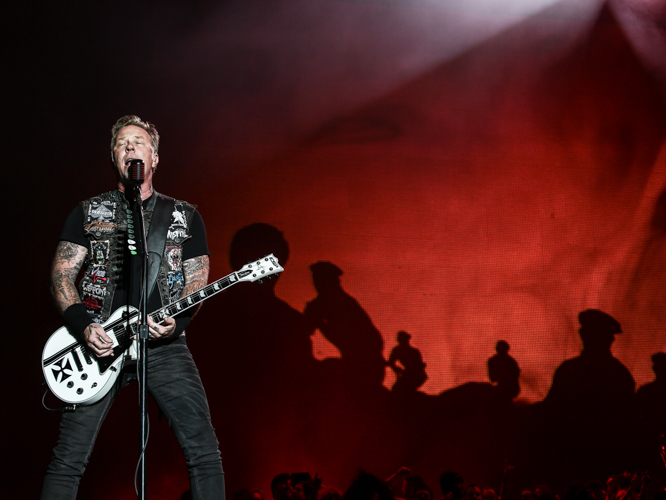 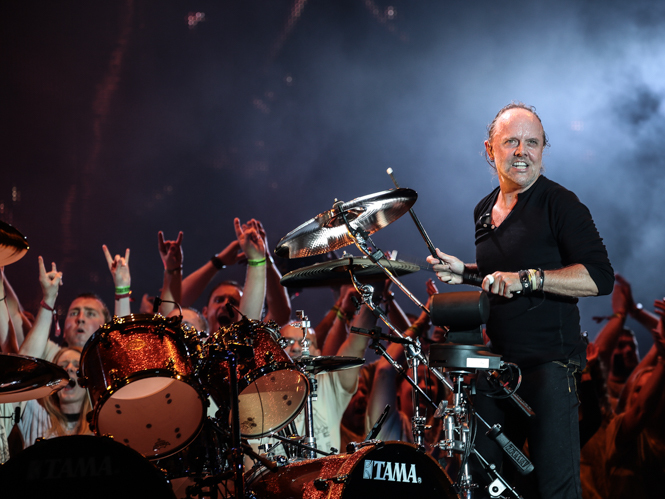 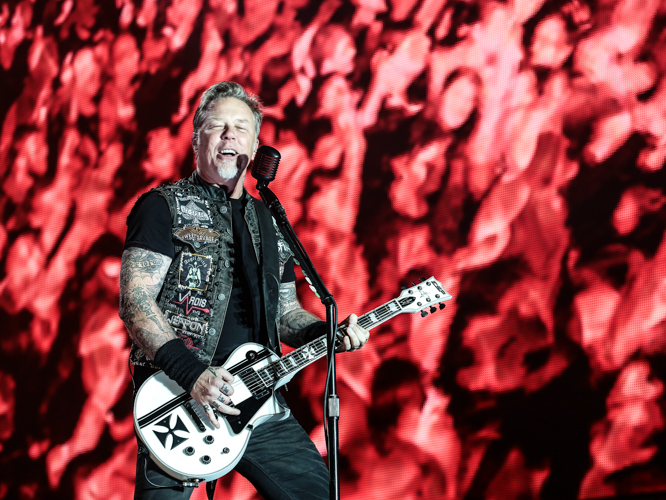 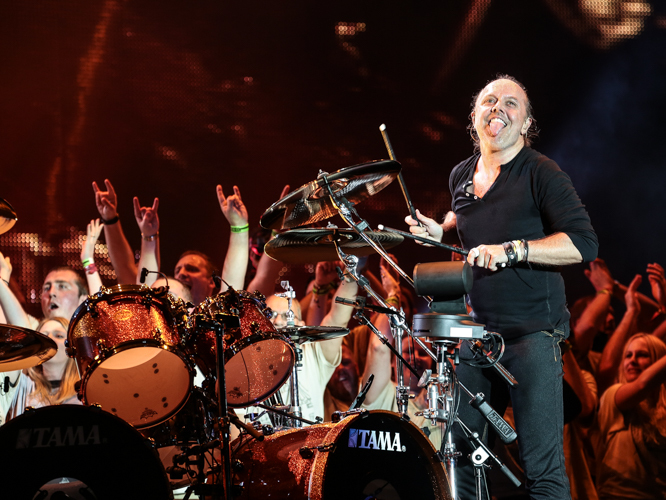 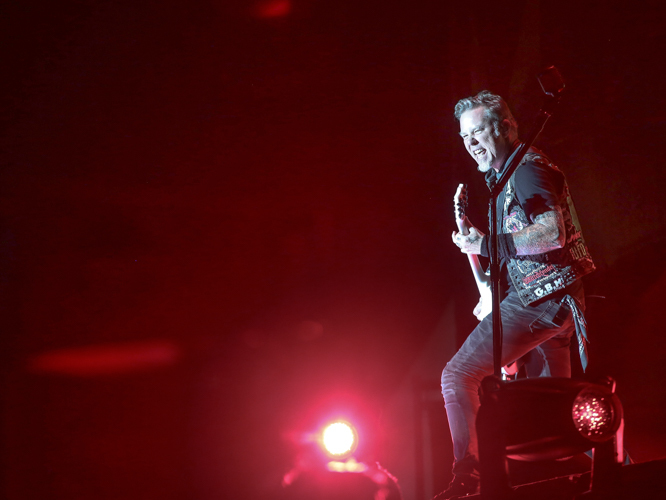 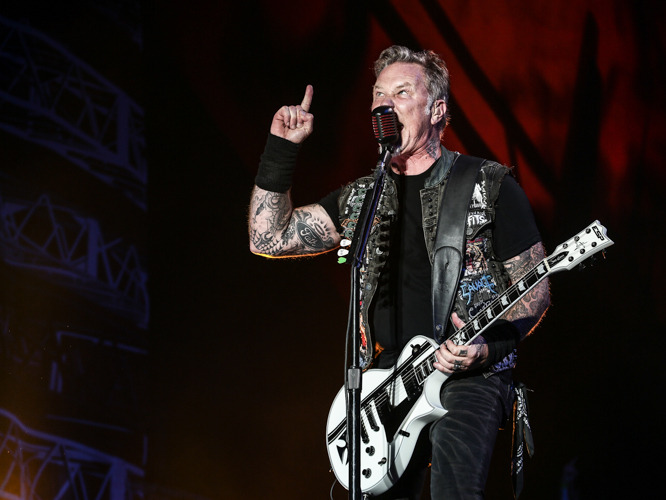 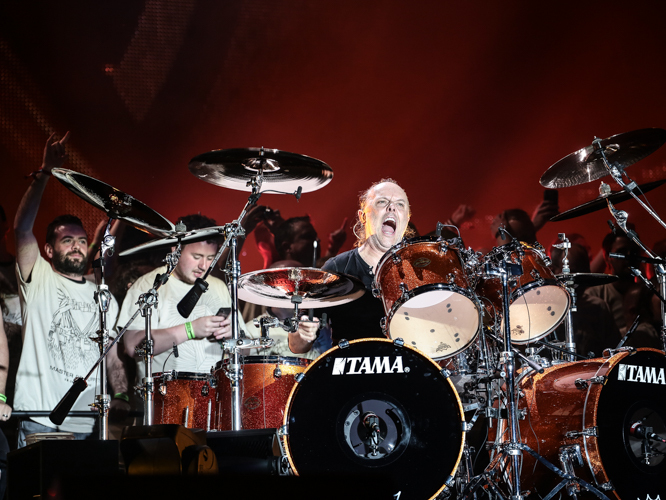 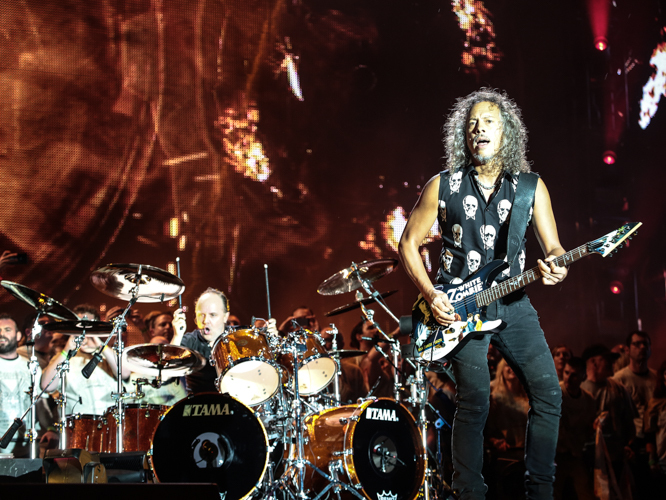 Metallica brought heavy metal classics to end day two of Reading festival on an almighty high last night (Saturday 29 August). 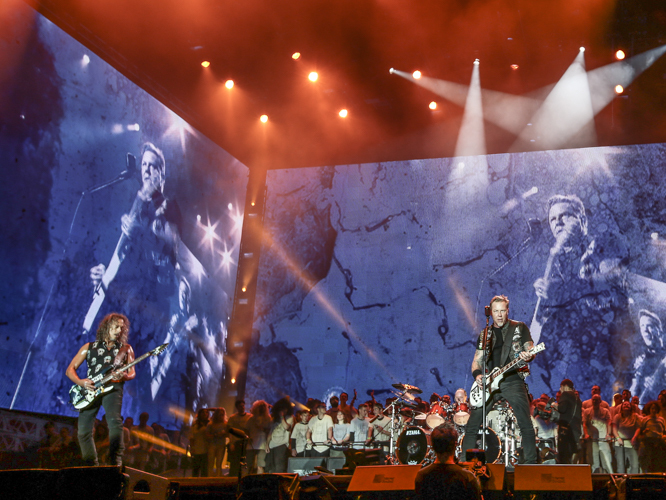 The band arrived on stage to the sound of 'The Ecstasy Of Gold' by Ennio Morricone, while a pack of fans and competition winners lined the stage in white t-shirts where they would remain enraptured for the duration of the set. 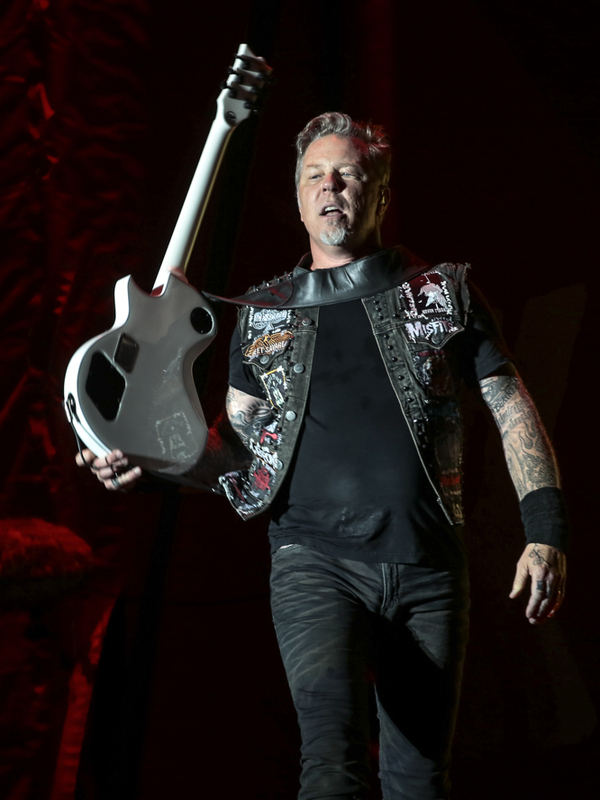 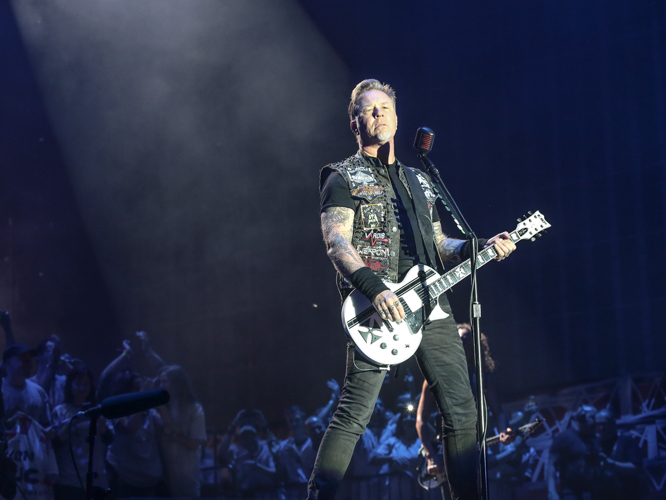 "We are Metallica and this is what we do," grinned frontman James Hetfield before rushing the high octane opener 'Fuel', kicking off a career-spanning set loaded with fan favourites, as the band effortlessly tore through 'For Whom The Bell Tolls', 'Battery', 'King Nothing' and 'Ride The Lightning' at the very top end of their performance. 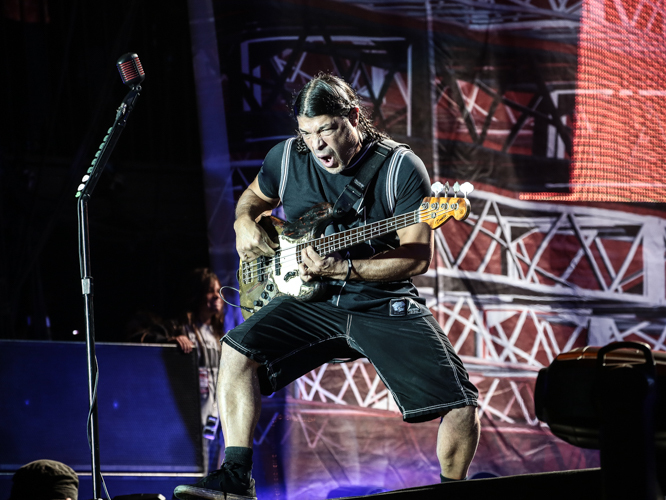 Rob Trujillo's seemingly never ending bass solo baffled many, but true highlights included a laser show and fitting tribute to fallen troops during 'One', and an extended outing of the sprawling rock masterpiece 'Master Of Puppets', before 'Seek And Destroy' ended the first part of the set in a fit of circle pits. 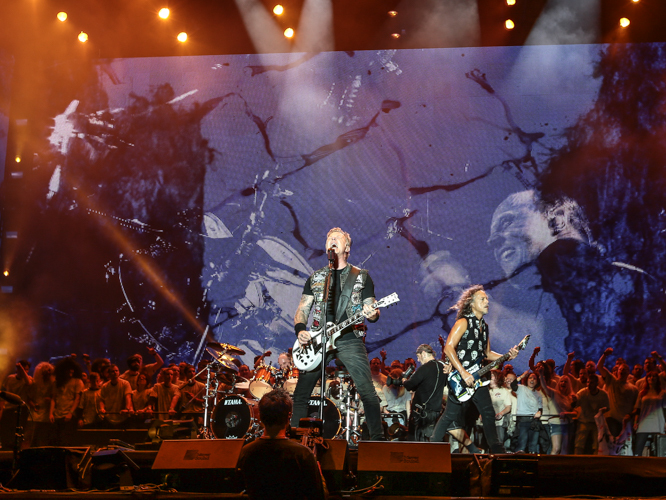 They returned with a perfect trio of tracks for the encore, in the form of the feel-good favourite 'Whiskey In The Jar' by Thin Lizzy getting Reading's hips a'swaying, before 'Nothing Else Matters' bloomed beautifully into the evening sky and the iconic 'Enter Sandman' united the vast audience in song and headbanging as hundreds of balloons fell over the crowd and fireworks lit up the night. 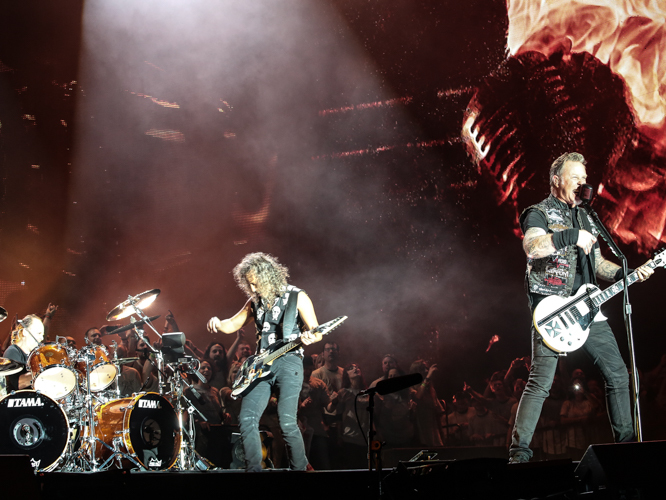 There were no real surprises or tricks hidden up their sleeves, just a group of legends reflecting the love that they still have for the game - a game that they invented, and still dominate. 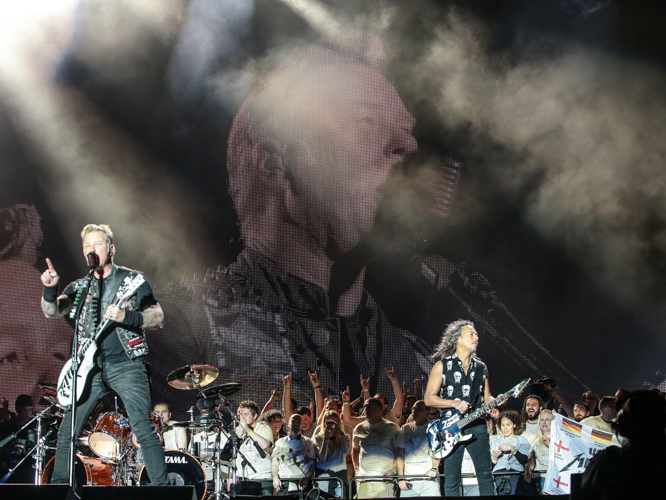 As long as the world spins, Metallica will be there to rock. 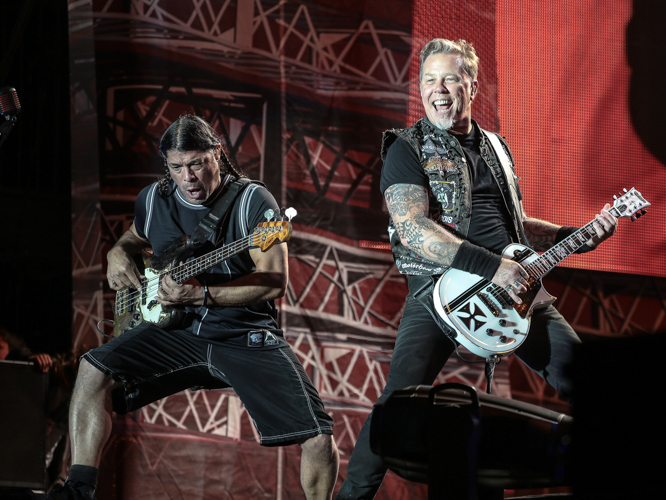 They are Metallica, and this is what they do.